The Parliamentary Commissioner for the Environment has found regulation in New Zealand is not adequate for managing the environmental risks of oil and gas drilling, especially if the industry expands beyond Taranaki. The Rangitikei District Monitor (23 October 2014) reported that Horizons Regional Councillors recently voted to scope a risk analysis report on fracking. This will follow a scheduled visit to the Taranaki in early 2015, where fracking is already occurring. It will include the risk and benefits to communities and the region associated with oil and gas production and waste management. It will likely also be identifying both where in the Rangitikei, oil and gas activities could occur, and the proximity of such sites to aquifers, towns and rivers. This need for a scoping report comes after deputations by members of the public around fracking that stressed the importance of both engagement and consultation with the community and the need to consider the environmental impacts. Horizons endorsed these requirements and said, to get the process right, they need to first understand what information they are looking for, find and review that information, then consult with local ratepayers. In order to understand the fracking process it was seen as useful and necessary to visit the Taranaki and learn more about how it is affecting the wider community. This will include visits to and presentations from Taranaki Regional Council, oil companies and members of the community. It is said there are currently no applications for further exploration wells nor fracking and no certainty Horizons will receive any. Nevertheless they will be prepared should any future consent applications be made. The subsequent scoping report, once completed, will be made available to the public. (You can read the full article HERE). 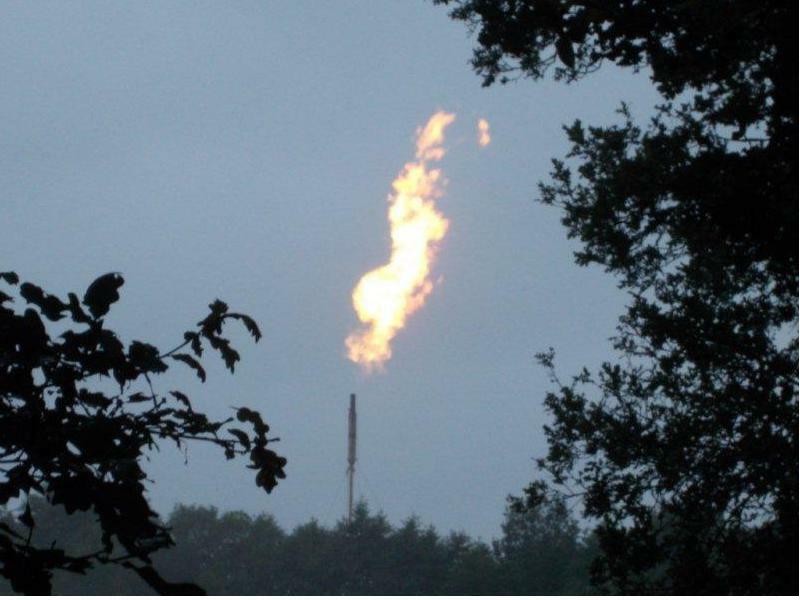 Fortunately for the public there is already a wealth of information on fracking to peruse in advance of this scoping report, including reports from the Green Party website about Taranaki operations. I would have to say that asking for presentations from oil companies is a bit like asking your friendly used car salesman if the car he’s selling you has anything wrong with it. Oil companies, predictably, are already telling us all is well and there are no known dangers to community health or environments … I will cite that information shortly. But firstly … what is ‘fracking’ or ‘hydraulic fracturing’? Here are the pertinent facts taken from the website dangersoffracking.com (The site has interactive diagrams). Hydraulic fracturing or ‘fracking’, is the process of drilling and injecting fluid into the ground at high pressure in order to fracture shale rocks to release natural gas inside. Each gas well requires an average of 400 tanker trucks to carry water and supplies to and from the site. It takes 1-8 million gallons of water to complete each fracturing job. The water brought in is mixed with sand and chemicals to create fracking fluid. 72 trillion gallons of water and 360 billion gallons of chemicals needed to run the current gas wells in the US. Shale fracturing: the mixture reaches the end of the well where the high pressure causes the nearby shale rock to crack, creating fissures where natural gas flows into the well. Contamination: During this process, methane gas and toxic chemicals leach out from the system and contaminate nearby ground water. Methane concentrations are 17x higher in drinking-water wells near fracturing sites than in normal wells. Drinking-water: Contaminated well water is used for drinking-water for nearby cities and towns. There have been over 1,000 documented cases of water contamination next to areas of gas drilling as well as cases of sensory, respiratory and neurological damage due to ingested contaminated water. Left behind: Only 30-50% of the fracturing fluid is recovered, the rest of the toxic fluid is left in the ground and is not biodegradable. The waste fluid is left in open air pits to evaporate, releasing harmful VOCs (volatile organic compounds) into the atmosphere, creating contaminated air, acid rain and ground level ozone. In the end hydraulic fracturing produces approximately 300,000 barrels of natural gas a day, but the price of numerous environmental, safety and health standards. "In 2011, TRC sought to get the historical information from fracking companies, but the Council didn't receive information for all fracking incidents. The Council still doesn't know what chemicals were used for fracking at seven wells and don't know the volumes used at a further 40 wells. The Council cannot monitor for the environmental effects of specific fracking chemicals if they don't know what they are". "Asking for presentations from oil companies is a bit like asking your friendly used car salesman if the car he’s selling you has anything wrong with it"